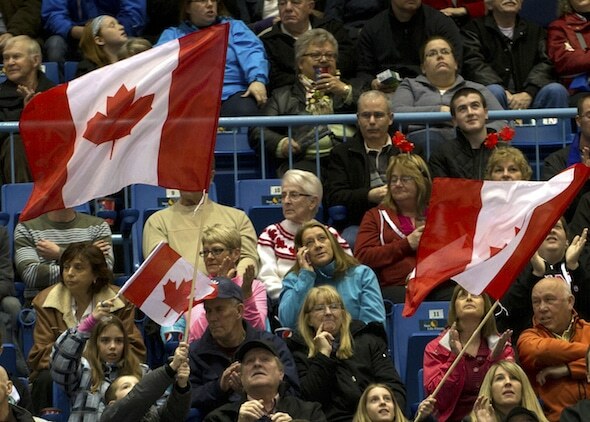 Team Canada will play its opening game at the 2015 Ford World Men’s Curling Championship on Saturday, March 28, at 7:30 p.m. (all times Atlantic) against either the U.S. or Brazil, it was announced today. 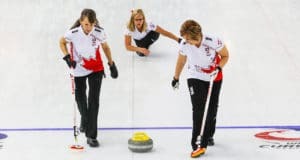 The World Curling Federation released the official schedule for the 2015 Ford Worlds, which are scheduled for March 28 to April 5 at Scotiabank Centre in Halifax. The schedule features Team Canada playing three times on the opening weekend — the Saturday night game, followed by two games on Sunday, at 2:30 p.m. against China and 7:30 p.m. against Sweden. The opponent in the first Canadian match won’t be determined until the completion of the Americas zone challenge. Brazil is taking on the U.S. in a best-of-five competition Jan. 30-Feb. 1 in Blaine, Minn., with the winner earning the right to play at the Ford Worlds as the 12th and final qualifier. The other qualified countries (representative teams will be named in the next few weeks) besides Canada are China, the Czech Republic, Finland, Italy, Japan, Norway, Russia, Scotland, Sweden and Switzerland. 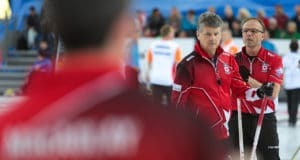 Canada’s representative will be decided at the 2015 Tim Hortons Brier, presented by SecurTek Monitoring Solutions, Feb. 28-March 8, at the Scotiabank Saddledome in Calgary. The top four teams following round-robin play in Halifax will advance to the Page playoffs, with the first- and second-place teams meeting for a berth in the gold-medal game, while the third- and fourth-place teams meet, with the winner advancing to the semifinal and the loser dropping to the bronze-medal game. 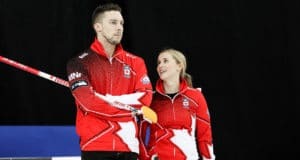 TSN and RDS2 (French), the official broadcast partners of the Canadian Curling Association’s Season of Champions, will televise all of Team Canada’s games.